CAPE CANAVERAL — Bidding farewell to the International Space Station today, the commercial Cygnus cargo ship separated to a safe distance before igniting an intentional fire in microgravity like never before, all in the name of science. 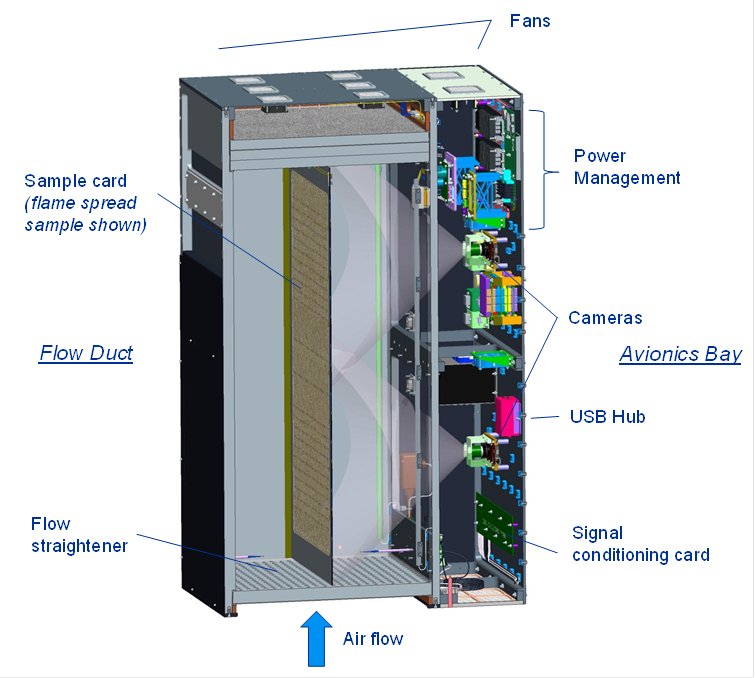 The NASA-sponsored Spacecraft Fire Experiment, or SAFFIRE, was conducted to better understand how flames will behave in weightlessness and improve fire safety techniques for future spacecraft. The first bit of video of today’s fire is expected to be released no earlier than tomorrow. Scientists have lacked the ability to study large-scale fires in space because of the inherent danger to astronauts and the spacecraft. But Cygnus offers an ideal research platform for the first time, serving as a man-rated craft for the experiment at the end of its mission before deorbiting to burn up in the atmosphere. The Orbital ATK-owned freighter reached orbit March 22 atop a United Launch Alliance Atlas 5 rocket from Cape Canaveral and successfully delivered over 7,000 pounds of supplies, provisions and equipment to the station. It was filled with 4,087 pounds of trash and disposables — broken hardware, dirty laundry, empty food containers — before the astronauts closed the hatch for today’s unberthing. The station’s Canadian robotic arm, operated remotely by Mission Control, detached the Cygnus from the Unity module at 7:43 a.m. EDT (1143 GMT) and deftly maneuvered it under the outpost to the prescribed departure box. At 9:30 a.m. EDT (1330 GMT), Expedition 47 commander Tim Kopra of NASA released the vessel 254 miles above Paraguay to fly away on its own, completing 80 days berthed at the International Space Station. “We’re very grateful we’ve had the supplies and the science to sustain our mission here on the International Space Station,” he said. Several hours after departure and with a large distance between Cygnus and the station, controllers at Orbital ATK facilities in Dulles, Virginia, sent commands to start the SAFFIRE experiment. A hot wire along the upstream edge of the fiberglass-cotton fabric material sample triggered the fire. The sample measured 15.7 inches wide by 37 inches tall. “The SAFFIRE experiment, designed to understand fire in microgravity, is now burning successfully,” NASA’s Glenn Research Center tweeted at 4:54 p.m. EDT (2054 GMT). “Our SAFFIRE experiment traveled 1,000 miles in space while burning on Cygnus,” was tweeted at 5:28 p.m. EDT (2128 GMT). “The purpose for SAFFIRE is to address fire safety on exploration vehicles and habitats,” said Gary Ruff, project manager and co-investigator for SAFFIRE at NASA-Glenn in Cleveland. The flames were contained within an instrumented research box — measuring 35 by 52 inches (3 by 4.4 feet) — that was strapped into the commercial vehicle before launch and never touched during its stay at the space station. “On Earth all inhabited structures — be it a building, airplane, ship or a car — we’ve done full-scale testing of fires and how it grows. So we have an understanding of how to build vehicles and structures and how to defend against fires,” said David Urban, SAFFIRE’s principal investigator. NASA intends to launch SAFFIRE experiments twice more this year. 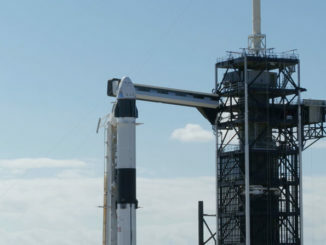 The SAFFIRE 1 and 3 tests use single samples 15.7 inches wide by 37 inches tall to watch the development and spread of a large-scale low-gravity fire. Scientists want to know if there is a limiting flame size and to quantify the size and growth rate of flames over large surfaces. 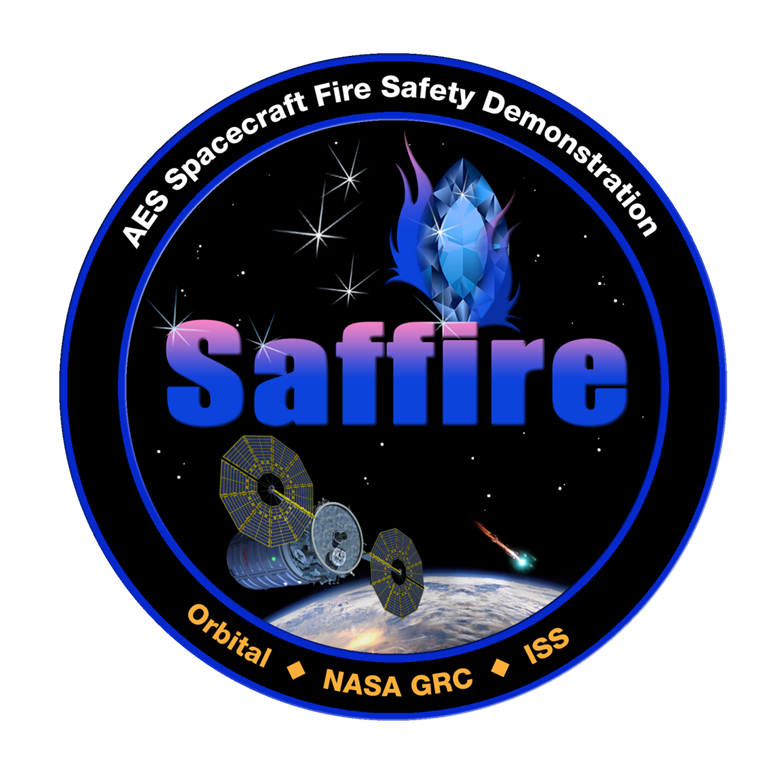 On SAFFIRE 2 later this summer, nine smaller samples, each measuring 2 inches wide by 10 inches long, will be burned sequentially to investigate the in-space “maximum oxygen concentration” flammability limits to determine if the flame propagates or self-extinguishes. “SAFFIRE is a box with a wind tunnel in it, a flow duct, that contains the sample that will be burned,” said Ruff. Prior space combustion experiments have been limited to samples no larger than 4 inches in length and width. Two cameras were positioned to capture the fire. Other instruments measured oxygen, carbon dioxide, heat, pressure and flame growth. Cygnus will remain in orbit for 8 days to downlink all the SAFFIRE data to the ground. A NASA spokesman said the transmissions will begin at around 8 p.m. EDT (0000 GMT) tonight. 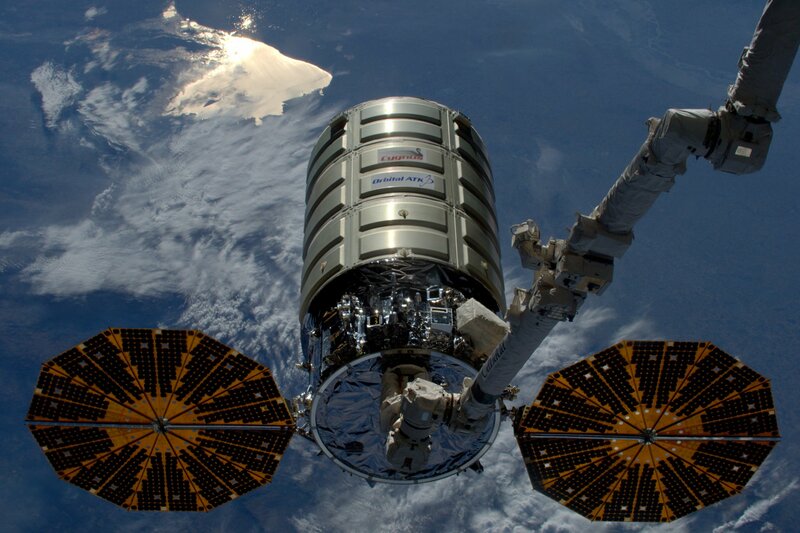 “Cygnus had a successful, two-and-a-half-month stay at the International Space Station, delivering vital cargo to the astronauts,” said Frank Culbertson, president of Orbital ATK’s Space Systems Group. On Monday, June 20, five LEMUR cubesats will be launched from from an external deployer on Cygnus for a remote sensing satellite constellation to provide global ship tracking and weather monitoring. The craft will execute its deorbit engine firing June 22 at 8:45 a.m. EDT (1245 GMT) for a harmless disposal over the South Pacific. It will hit the atmosphere at 9:05 a.m. and any surviving debris will impact the water by 9:35 a.m. EDT. During the plunge into the atmosphere, one final experiment will be conducted, called the Re-entry Breakup Recorder. Sensors will monitor pressures, temperatures and accelerations as the spacecraft disintegrates. That data will be transmitted to scientists via a commercial Iridium satellite telephone link. This was the fourth operational Cygnus mission to reach the station, the second launched by the Atlas 5 rocket in a 100-day span that delivered over 15,000 pounds of supplies. 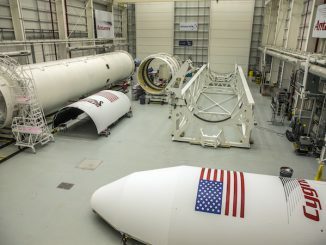 The next Cygnus cargo mission to the station will launch this summer atop the redesigned Antares rocket from Wallops Island, Virginia.